Ring to release several new features and an updated app experience, providing neighbors with even more effective ways to protect their homes and neighborhoods. Ring, whose mission is to reduce crime in neighborhoods, today announced an updated app experience, Smart Alerts, and other new features to further enhance home and neighborhood security. Protecting your home with Ring will be easier than ever with these new features that give Ring neighbors the ability to keep an eye on their whole home at a glance, receive only the alerts that matter to them, and much more. Ring is also releasing a suite of Smart Alert features. Smart Alerts use cloud-based video analysis to ensure that neighbors with a Ring Protect Plan receive only the alerts that matter most to them. With Smart Alerts, battery-powered Ring devices will have a longer battery life by up to three times and more advanced motion detection features to reduce the number of false alerts. 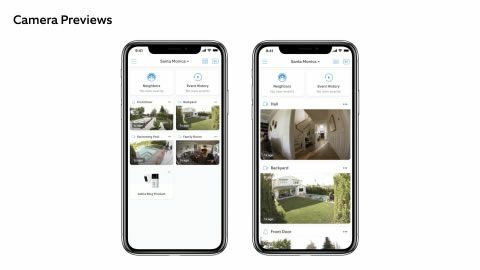 The first set of Smart Alert features coming in early 2019 include:Camera Previews, now available in the Ring app, allow neighbors to view recent images from all of their devices in one seamless, consolidated view. If neighbors see any activity of interest in the Camera Previews, they can simply tap the preview to go to the device dashboard where they can Live View the action. Timeline, which will begin rolling out in November, makes reviewing Ring recordings even easier by allowing neighbors to scroll through their Ring event history on a color-coded timeline, so they know what happened and when. Simply swipe back and forth through time to easily zero in on the important moments. To access these new features, visit the “New Feature” menu in the Ring app. Motion Verification – New to battery-powered Ring devices, this feature will verify any motion detected and rule out false alerts so users see more accurate and relevant activity. Motion Stop – Ring devices will stop recording if motion is deemed unimportant – less recording time means dramatically longer battery life. Person Detection – This feature will identify and label the type of motion detected and give users the option to ignore motion events they don’t want to see. For example, Person Detection can distinguish between a person, an animal, and a tree branch. Motion Zones – New to battery-powered Ring devices, custom motion detection zones focus Ring devices on the specific areas neighbors want to keep secure. Smart Alerts will be available to all neighbors with a Ring Protect Plan in 2019. These Smart Alert capabilities, along with additional new features to come, ensure neighbors receive the most important alerts when it matters most. Live Camera Previews – When a Ring device detects motion, the Camera Preview within the Ring app will begin to live stream right in the app’s dashboard to immediately show activity in real time. Audible Announcements – Wired Ring devices will deliver audible announcements through the device’s speakers when motion is detected to let visitors know they are being monitored by Ring. Timestamps – When sharing a Ring recording, a timestamp can be placed on the video to show the date and time the video was recorded (must be a Ring Protect Plan subscriber). Bulk Download – Ring Protect Plan subscribers will be able to download all of their Ring recordings at once from Ring.com with just a few easy clicks. Also coming in 2019 is Ring’s 24/7 Recording feature. For an additional fee, Ring Protect Plan subscribers will have the option to set their wired devices to continuously record for a more complete view of what is going on in and around their home at all times. For no additional charge, all neighbors with a Protect Plan will have the ability to see still images captured throughout the day to fill in the gaps between motion events. With these updates, Ring continues to innovate and provide neighbors with smart, affordable and effective tools to monitor and secure their homes. Ring’s mission is to reduce crime in neighborhoods by creating a Ring of Security around homes and communities with its suite of home security products. 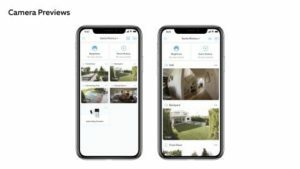 The Ring product line, along with the Ring Neighbors app, enable Ring to offer affordable, complete, proactive home and neighborhood security in a way no other company has before. In fact, one Los Angeles neighborhood saw a 55 percent decrease in home break-ins after Ring Doorbells were installed on just ten percent of homes. Ring is an Amazon company. For more information, visit www.ring.com. With Ring, you’re always home.